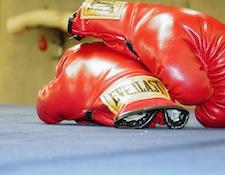 Facebook Ads Vs. Twitter: Which Outperforms? Update: TBG has since backpedaled from its claim that Facebook’s mobile Sponsored Stories outperform Promoted Tweets, saying it was actually comparing Facebook’s solution to the not-quite-comparable Promoted Accounts feature of Twitter. According to a report released by TBG Digital, Facebook ads are outperforming Twitter’s in-stream ads. TGB Digital released its Global Facebook Advertising Report Q2 2012 this week in which it analyzed 406 billion ad impressions in more than 190 countries for 276 clients. The report found that Facebook’s newer units, Sponsored Stories, saw 53 percent more engagement than standard ads, and mobile ads had four times the engagement of Twitter ads. One possible reason is the difference in profiles. Unlike Facebook, which offers very specific demographic and interest-based targeting options, Twitter’s Promoted Tweets can only be targeted based on geographic region, mobile device, and who people follow. It’s also possible that larger visuals and the social context of Sponsored Stories could be the cause for higher clickthrough rates (CTR). Twitter is limited to 140 characters, whereas Facebook includes a friend’s photo, a larger advertiser logo, and more text. The report also included data regarding the overall performance of Facebook ads — a subject that has caused a lot of confusion over the past couple of months. The company’s average cost per thousand impressions (CPM) is up 58 percent in the second quarter, compared to the same period one year ago. But it’s Facebook’s News Feed targeting options that have seen the biggest growth. Mobile ads have a CTR 14 times that of desktop ads — which include the News Feed and those on the right side of the page — at 1.140 percent. Twitter, for comparison’s sake, saw an average CTR of just 0.266 percent. Although it appears that Facebook has the advantage, it’s important to be where your audience is. If you have a more active community on Twitter, don’t ditch Promoted Tweets in favor of Facebook ads just yet. Try to find a balance until you can effectively gauge which ad unit works best for you.